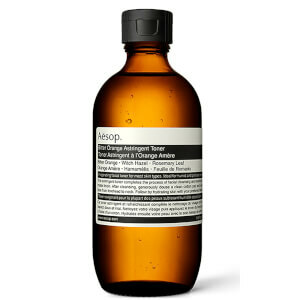 The Aesop Bitter Orange Astringent Toner comes in a 200ml bottle and is ideal for everyday use. 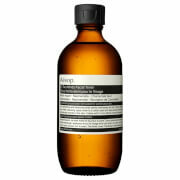 This toner has been designed to mattify the skin after cleansing and will remove all traces of your cleanser. 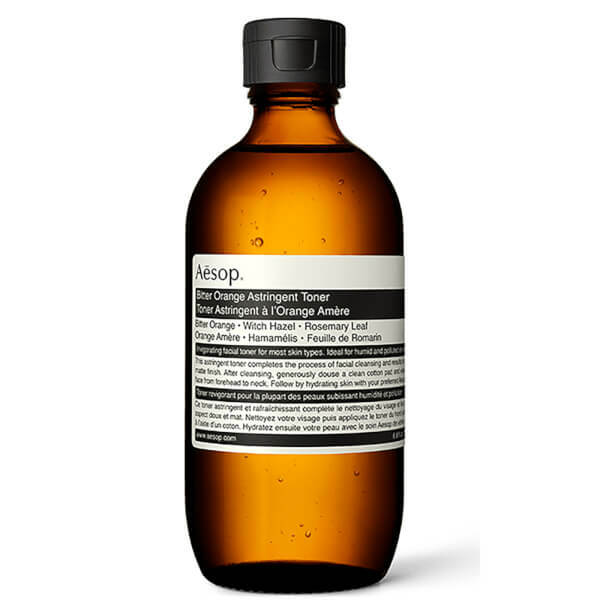 The Aesop Astringent Toner is ideal if you need to deal with any environmental changes or hormonal changes to your skin, however, it can be used for any skin type. The refreshing qualities of this toner are perfect for giving your skin a lift and will help to balance the skin as well as bring out the excess sebum and remove impurities from its surface. The cover was broken, skin care water leaked out and the whole package was wet. And the lotion is mixed with impurities. It is really help for the oil skin. 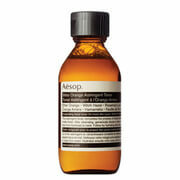 I've tried Aesop products before and like them a lot. This toner is works well and smells good too. Not sure about the glass bottles. They look cool but are not the most practical. The stopper on mine was cheap and broken on delivery allowing the liquid to leak out in the parcel. The fitting is very flimsy and unreliable especially if you take it on your travels. Hence the 4 rather than 5 stars.